• Elevator	 Schindler;	Sematic S.r.l. 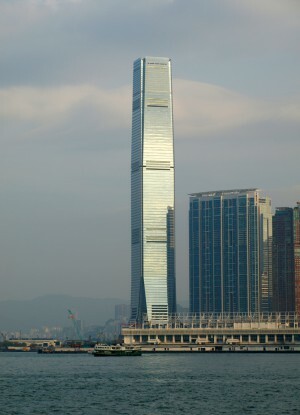 International Commerce Centre houses some of the most prominent financial institutions in the world. 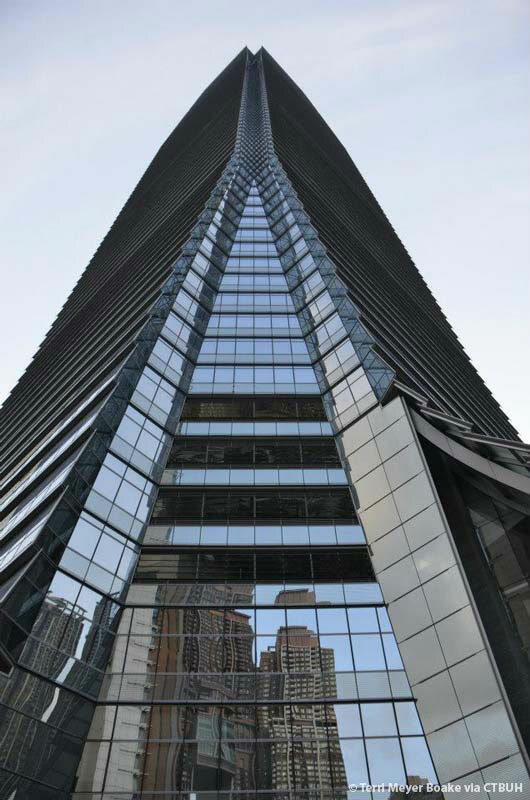 The building is routinely recognized as a paragon of good management, from a commercial, environmental, and community standpoint. 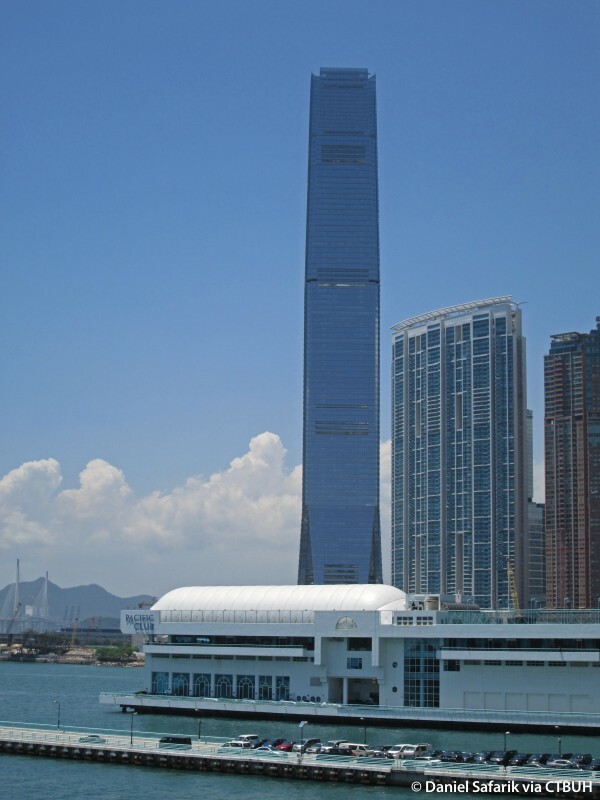 The level of energy efficiency achieved by the International Commerce Centre is unusual for a tall building, and significant investments have been made in improving energy performance over the years, especially since adapting the ISO 50001 Energy Management Systems certification in 2011. 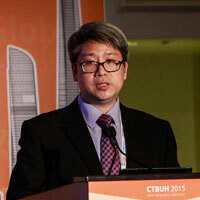 This commitment was followed by more than 50 advanced energy-saving measures. 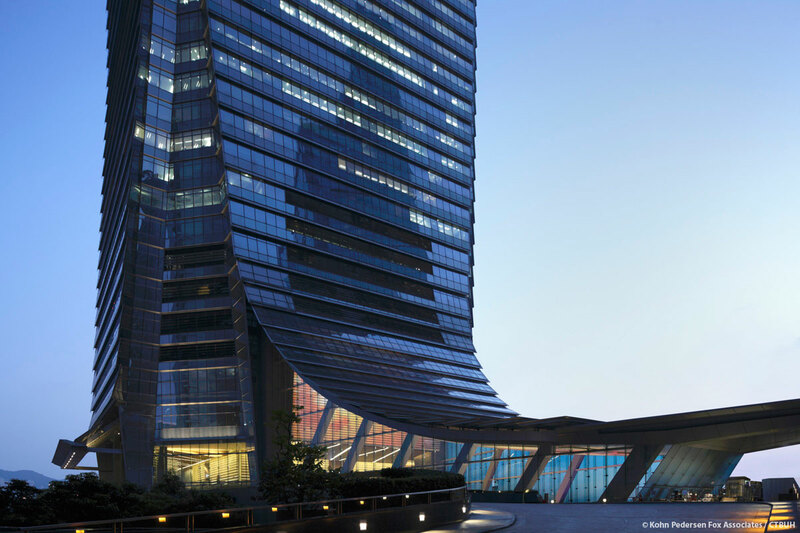 The Energy Utilization Index (EUI) of International Commerce Centre's energy performance in 2013 was 157.3 kWh/sqm, placing it among the top 10 percent of energy-efficient commercial buildings. 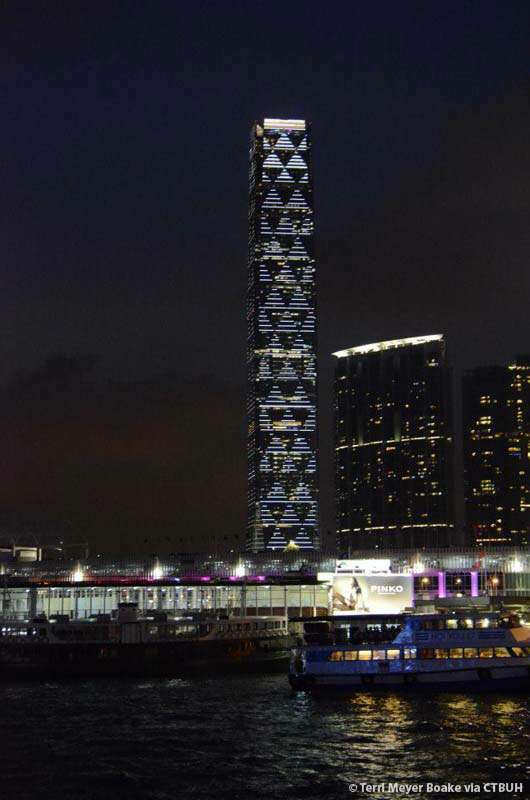 A computerized building management system manages and controls the energy use in the building. The total energy consumption of the project was reduced from 56.3 million kWh in 2012 to 49.9 million kWh in 2013, a reduction of 6.4 million kWh, or 11 percent. The air-conditioning system is a high-voltage water-cooled chiller system with a centrifugal separator enhancing the chiller’s coefficient of performance (COP), resulting in an 8 percent reduction in energy consumption. The system's original corrugated aluminum separator box filter was replaced with a more advanced mini-pleat filter, reducing system pressure by 25 percent and consequently reducing energy consumption as well. 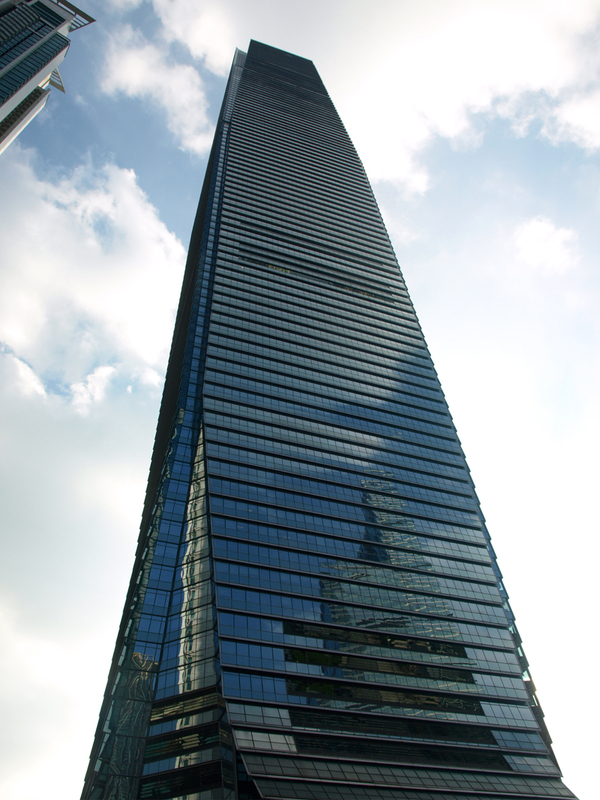 Management has carried out a life cycle testing program with Hong Kong Polytechnic Unversity, resulting in energy optimization and significant savings of 7 million kWh from 2011 through 2013. International Commerce Centre has saved an estimated HK $7 million (US$900,000) annually through this program. 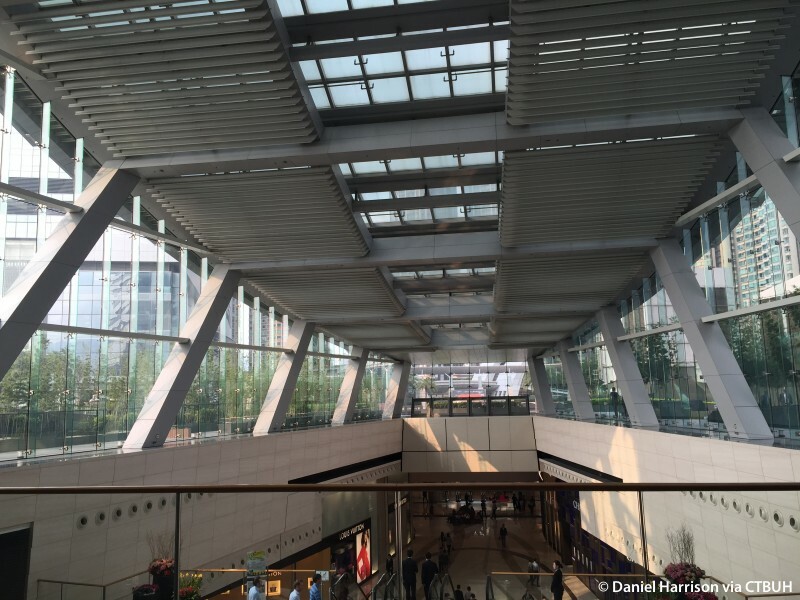 Other energy-saving features include a low-emission curtain wall, natural lighting of the atrium, the wide adoption of energy-efficient lighting fixtures such as LEDs and T5 fittings, and double-decker elevators with destination control and power regeneration functions. 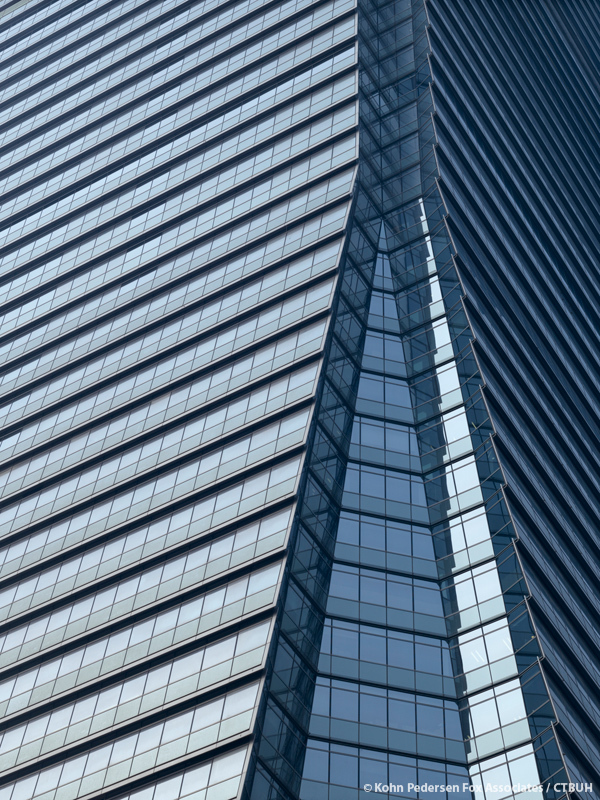 Simple actions such as deactivating elevators during low-use periods are equally important. 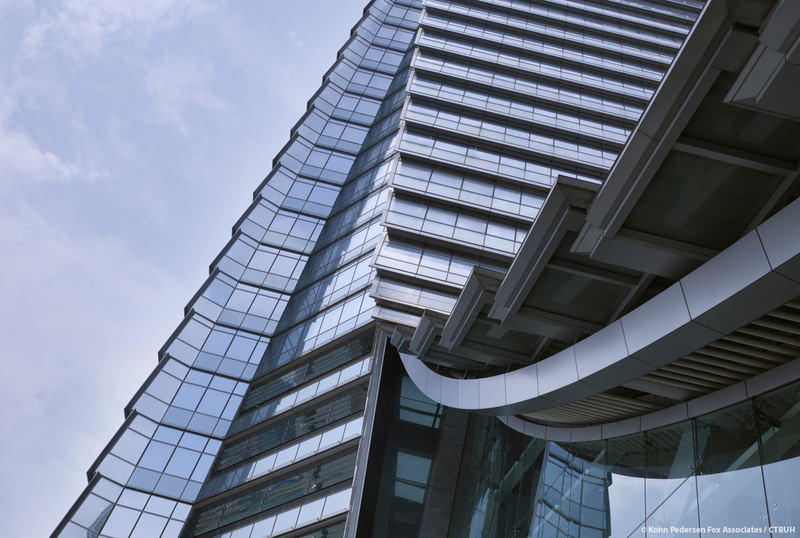 Through these investments, the building reduced CO2 emissions by 4.2 million kilograms in 2013. The building’s waste-management program has increased its collection of recyclables from 94,000 kilograms in 2013 to 101,714 kilograms in 2013, an 8.21 percent increase. Participation in the recycling program increased from 60 percent of occupants in 2010 to 90 percent in 2013. Recycling items collected have expanded to include waste paper, plastic and aluminum cans, glass bottles, food waste, chemical waste, and coffee grounds, as well as creative reuse of festival decoration items. 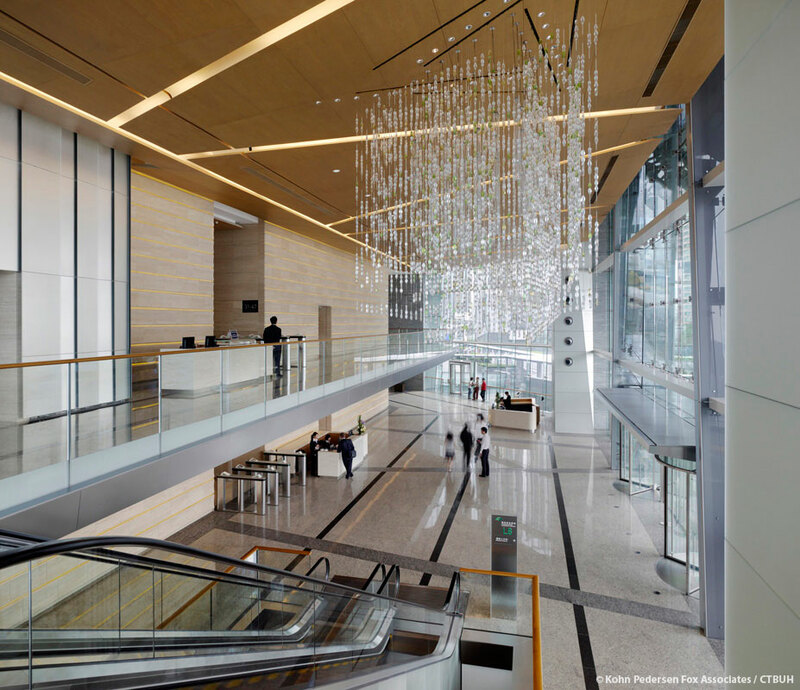 Of course, a building’s initial successes in performance-based design can be undone if occupants are not well-trained and motivated to continue imbuing their daily activities with these principles. 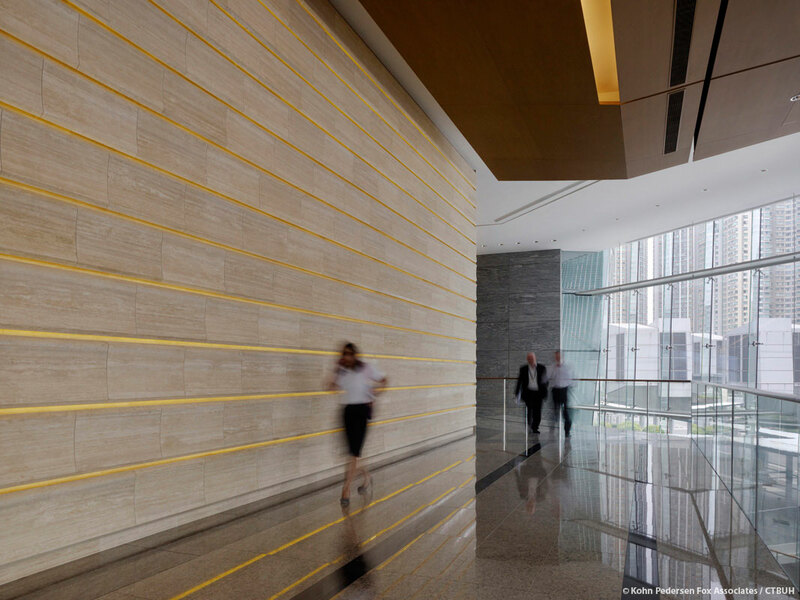 The key to achieving high performance lies in International Commerce Centre's intensive, involved relationship with its tenants. Each tenant is assigned its own account manager, who is in frequent contact with the tenant and learns about their requirements in detail. 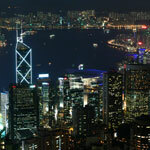 A 24/7 helpdesk is available for tenants, regardless of where they are in the world. To ensure ongoing “greenkeeping” by occupants and the wider community, International Commerce Centre's management extended its food-waste collection program to the surrounding community, and conducted more than 300 sharing events to promote green principles. 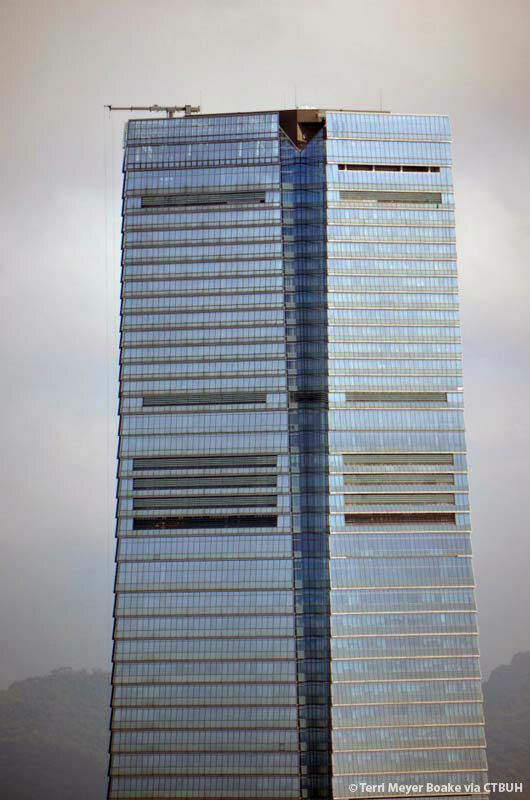 The “International Commerce Centre Celsius 26” plan was launched in 2012, maintaining the building’s common areas at 26 degrees C, warmer than typical engineering standards, but still comfortable. 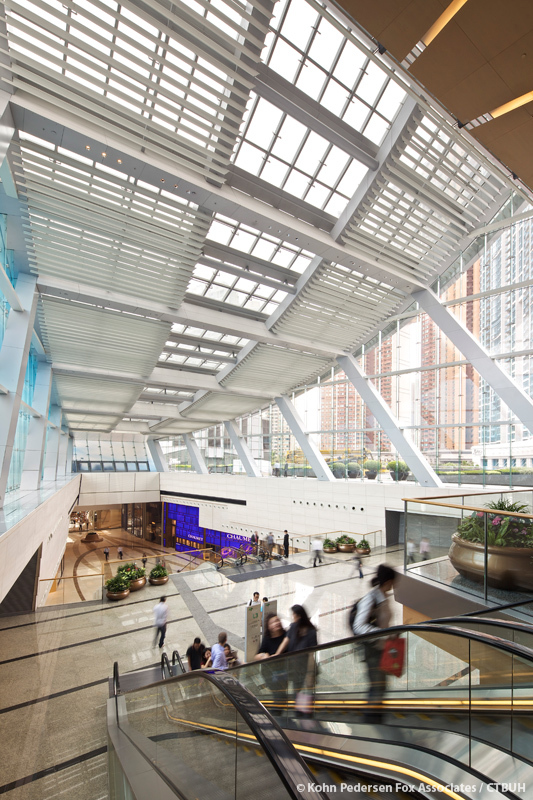 Apart from the base building’s energy audit, International Commerce Centre provides free energy audits for its tenants upon request. By using the helpdesk and computerized building systems as a data-collection and dissemination tool, combined with a high level of direct training, interaction and support of tenants, a “virtuous circle” is formed, in which tenants are motivated to adhere to energy guidelines and to contribute data, which is then reported back to tenants and management. 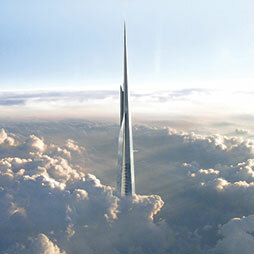 The Council is pleased to announce the Top Company Rankings for numerous disciplines as derived from the list of projects appearing in 100 of the World’s Tallest Buildings. 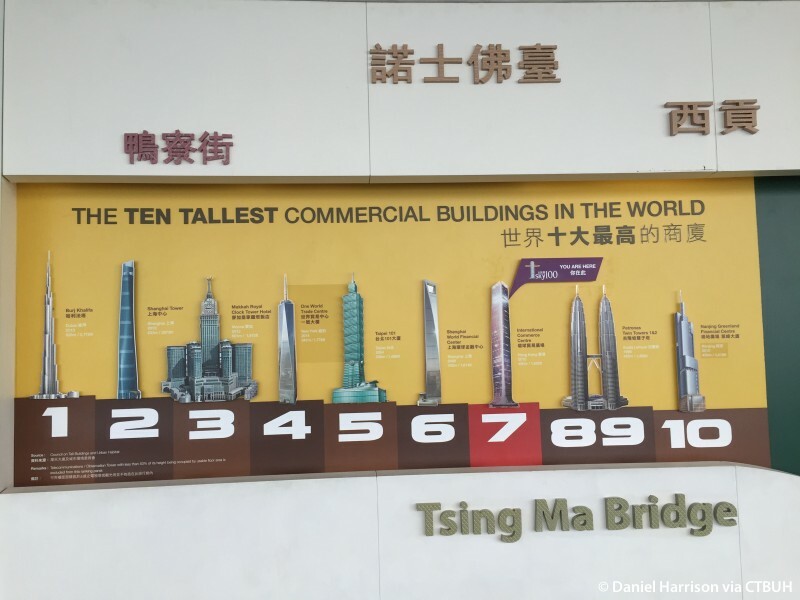 Plans for the 2016 CTBUH Conference are now well underway, beginning with initial meetings of the Conference Steering Committee in all three cities. 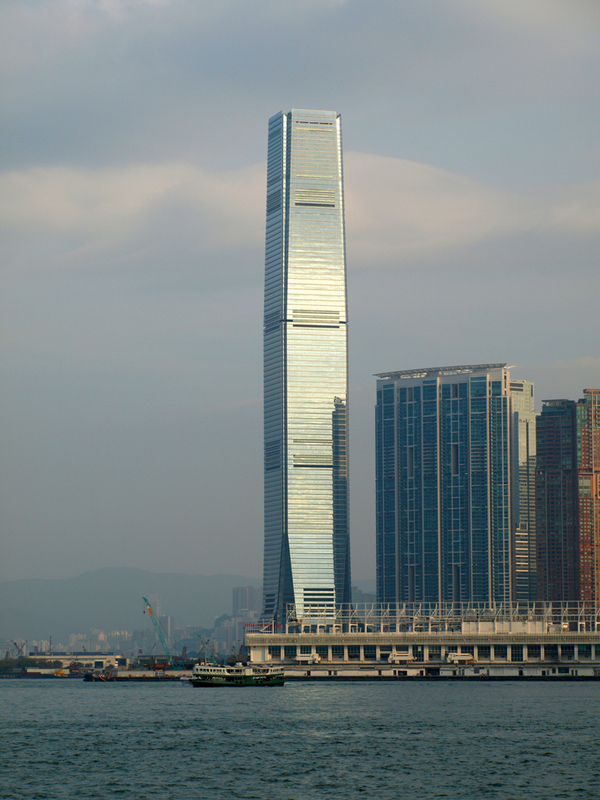 The tour began at Hong Kong’s One Island East, a 298-meter office building. After a day of activity and touring, the tour ended with an evening harbor cruise, on a Chinese junk. 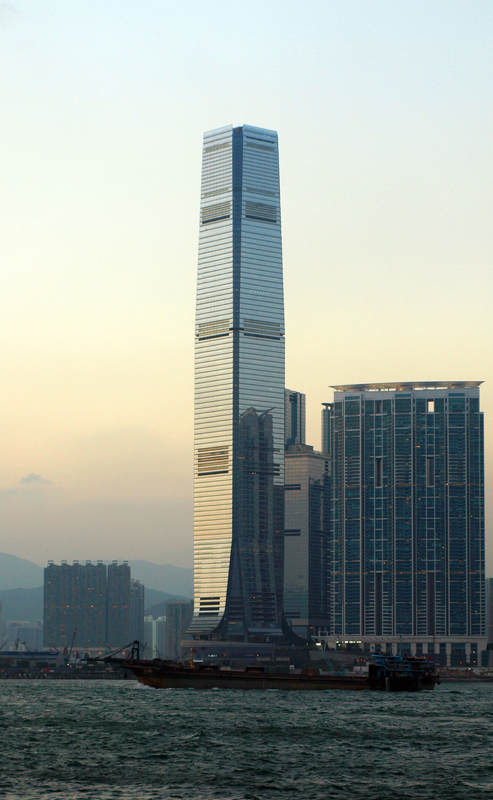 Delegates from the Congress flew to Hong Kong to visit one of the tallest cities in the world. 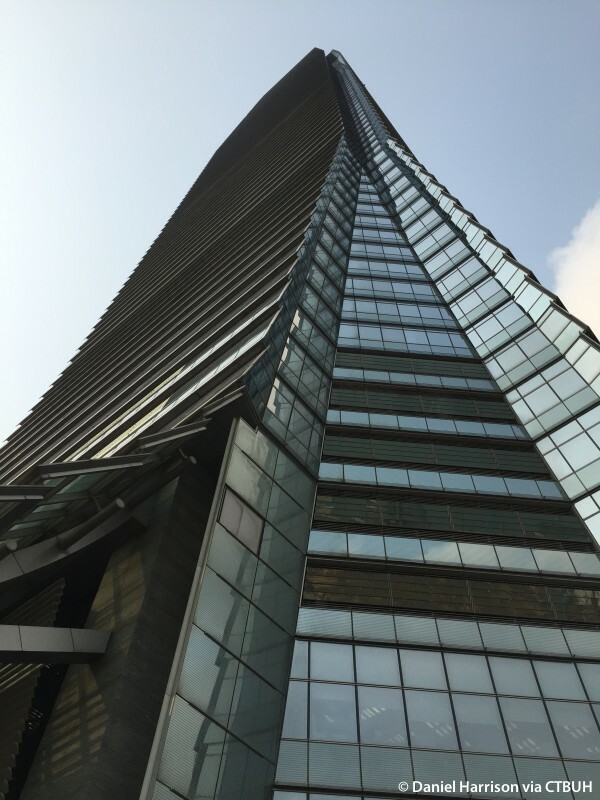 The second day included a side trip to Shenzhen, including a private tour of KK100. 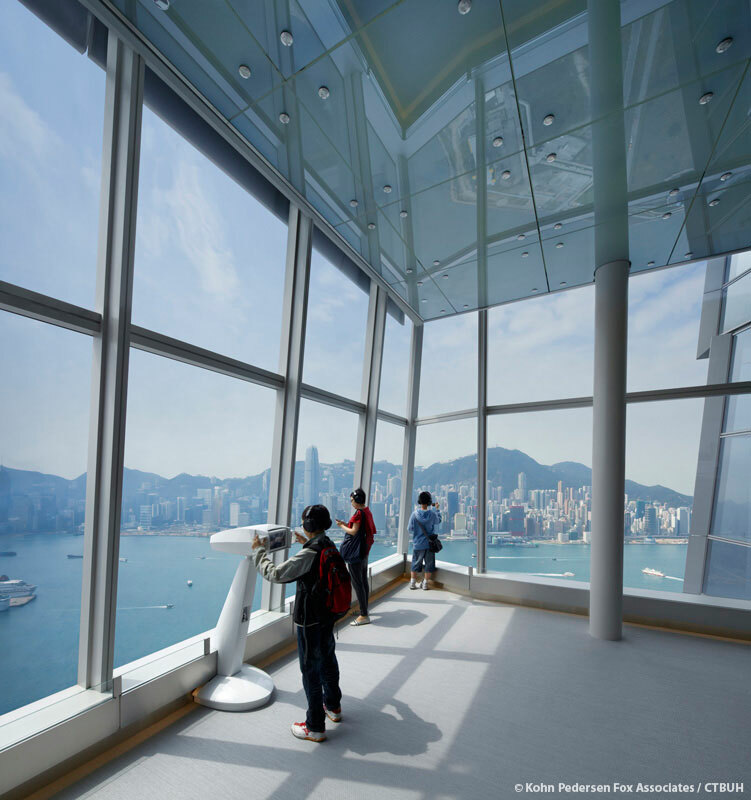 Soaring 484 meters (1,588 feet) above Victoria Harbor, the International Commerce Centre (ICC) is the essence of Hong Kong in one destination. 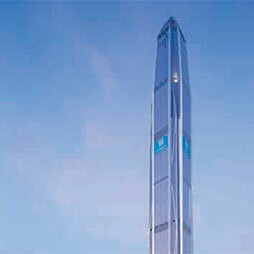 Elena Shuvalova, the CTBUH Country Representative for Russia reports on the 4th Russian Intellectual Business. 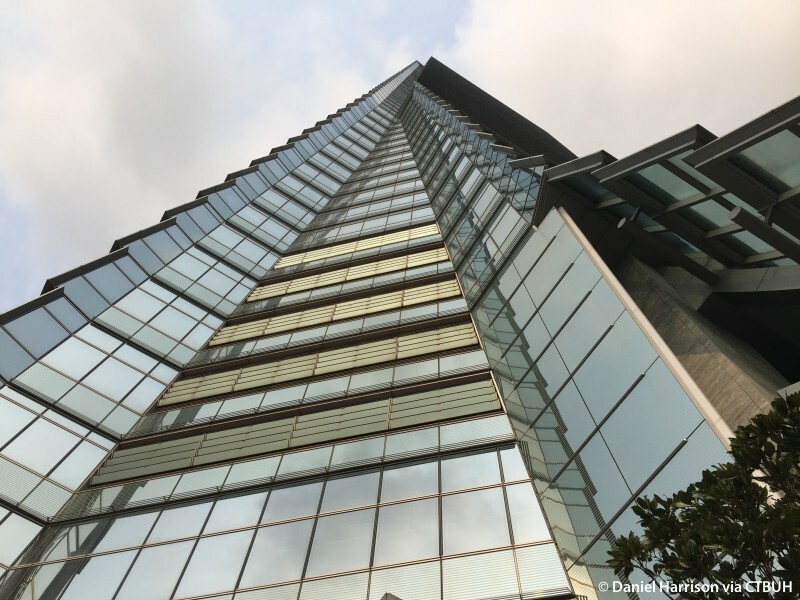 CTBUH collaborated with the Dubai-based developer Nakheel and architects Woods Bagot to facilitate a 5-nation tour of seminal tall buildings in south-east Asia. 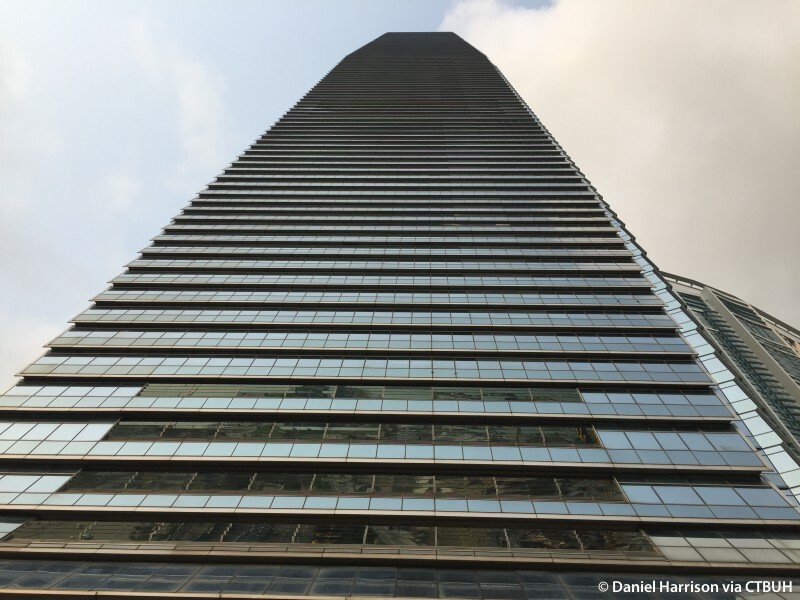 Andrew Nicholson of CBRE is interviewed by Chris Bentley during the 2016 CTBUH China Conference. 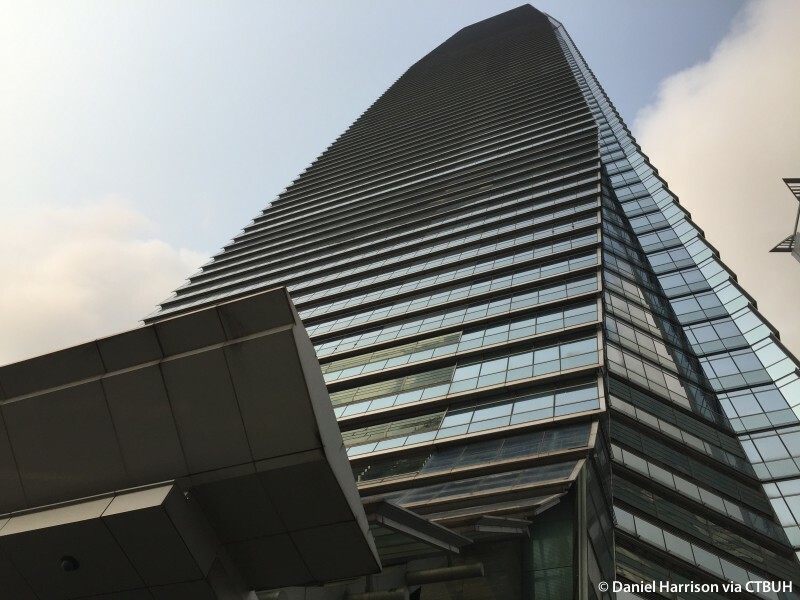 Andrew discusses the building management of the Shanghai Tower. 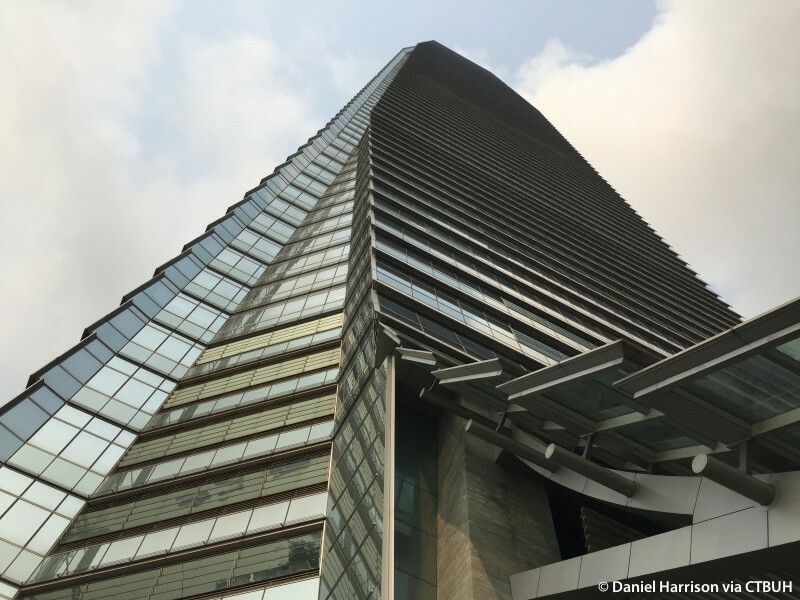 This paper examines the foundation design for the IFC Tower II and Union Square, 420 meters tall and 480 meters tall, respectively. 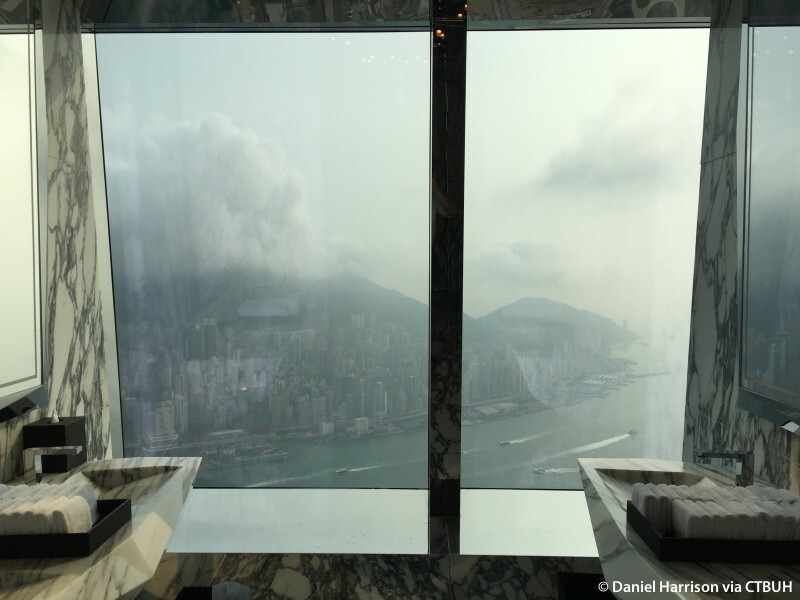 The Ozone Bar on the 108th floor is the world's highest cocktail lounge in a building at 468.8 m.
The world's highest swimming pool in a building is located on the 108th floor.